I’ve started the Little Red Tarot Alternative Tarot Reading eight-week course, so I’ll be doing a card of the day every day (rather than my “most days” of the last few weeks) and blogging about it. It’s a little intimidating. What if I get the interpretation wrong? What if I prove that I’m a failure? These fears are why I don’t submit my writing to be published, why I have never seriously pursued a creative career. 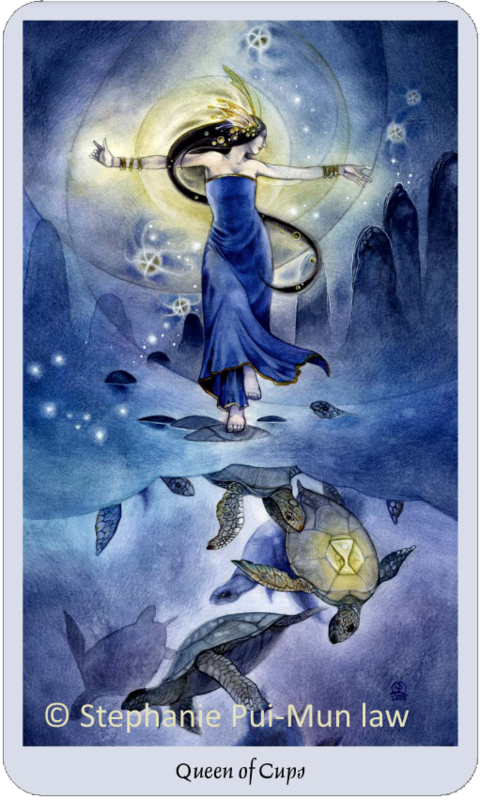 So, when I look at the Knight of Wands, all confidence and self-assuredness, I think – that’s not me. Except for a tiny voice in the back of my head that says – it’s a little bit me. I love the colours on this card (to be honest, this entire deck just brings me incredible joy – it’s such a gentle, calming, encouraging deck). The purples and greens of the ground, and the red of the foxes, and the shadows and smudged sky. I love it. It’s majestic. 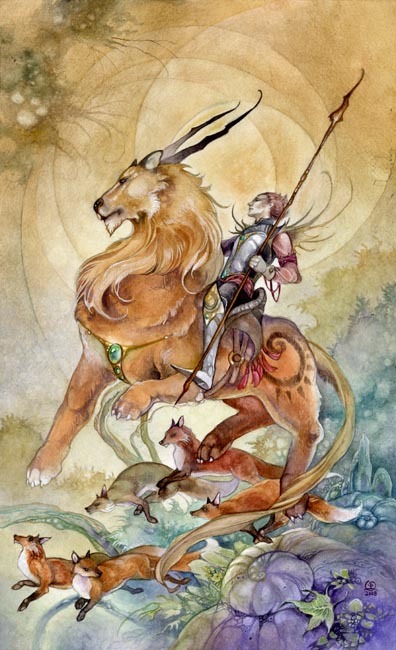 The Knight of Wands indicates change and a progression towards a goal. … The knight is on a journey for adventure. Excitement flows along his trail. He does not necessarily seek it, but his presence invariably spurs rivalry and conflict, perhaps because of his cocky and assured attitude and self-confidence. Sometimes his aggressive nature can be seen as being overconfident, too impetuous. He is a knight with a blazing lion’s heart and the sparking cleverness of foxes, but not always the wisdom to match it. The Knight’s challenge is often to tame her/his energy, to rein it in so as to direct it productively. On the other hand it can be fun to let loose – we all need to go a little crazy sometimes, to let our hair down, ignore our responsibilities, act like teenagers. I’m not sure how I feel about this card. I guess I’ll keep coming back to it over the course of the day, and try to notice moments of impetuous, courageous energy.